There will be times in ministry when you are going to be hit. You will be the subject of criticism (some warranted and some unwarranted). Occasionally, someone fueled by a sense of self-contrived justice, is going to say something to you that is unfair, insulting, or ill-informed. Expect it. How do you face an unjust critic or personal insults? During this post we will discuss the keys to keeping your focus on Christ even when targeted by a critic. Confession time: I am not great at taking criticism, especially criticism that I suspect is ill-informed, heavily biased, or wrong. Sometimes I struggle bouncing back after being criticized. I can be guilty of recalling the hurtful words of others and allowing them to steal my joy. If I marinate on these negative thoughts I’m soon tempted to formulate a stinging response in my mind, something that begins with “I should have said….” This is not a helpful activity. I have to recognize the reality: I’m in ministry. I follow Jesus. Jesus said following him makes one a prime candidate for attack (John 15:18-25). Not everyone is going to “get” what you are about. Nor is everyone going to care. In fact, if everyone thinks we are “awesome” we have another problem going on (see Luke 6:26). What do you do when personally insulted or unjustly criticized? Pray for God’s grace to hold your tongue. Have ever been the subject of a completely unfair critique or insult? If so, you know that the temptation to defend yourself can erupt like a volcano. However, in that moment, you must not respond to your accuser with anything but grace that reflects the patience and control of Christ. This is a hard thing to do. There may be a time when you need to sit down with a critic and lovingly help them see their error, correct their assessment, or dialogue deeper about the situation. However, until you can do that in Christ- honoring love, it is best to remain silent. It is certainly better to hold your tongue than lash out in sinful anger. Words are like bullets, once fired, it’s difficult to get them back. Reflect, consult, and evaluate. Some critiques are valid. No one is beyond making a mistake or having an inaccurate view. Remember that you are looking at a fallen world with fallen eyes. Being a recipient of the grace of God does not make you free from every error. Even godly and mature people can “get it wrong” on occasion. Consulting godly people you trust is a wise move that guards from error (see Proverbs 11:14; Proverbs 15:22; Proverbs 24:6). When I’m criticized by someone, I share the critique with my most trusted advisors. I do this for two reasons. First, if there is any truth to the critique, they will help me see the situation more impartially. Second, sharing a critique is an opportunity for others to pray for you. My heart is sinful and prone to wander, especially when I feel I’m being treated unfairly. I don’t want the words of a critic to slow me down from running the race. Love your accuser. Love, forgive, and pray for your accuser. This is a hard thing to do, but you can choose to do these things. This is the type of thing that Jesus would do. In Matthew 5:44-45b, Jesus said “But I say to you, Love your enemies and pray for those who persecute you, so that you may be sons of your Father who is in heaven.” The act of loving someone who has wronged us goes against the grain of our sinful nature. So, in that sense, loving your enemies is a very healthy thing. It’s hard, but we must extend grace. When we love like Jesus we are more like him. Focus on Christ and who God says you are. Unjust criticism can mess you up. Satan can use the words of others, even believers, to feed your fear and insecurity. You cannot let the negative words of another person push you away from the life of freedom God has for you. Words do hurt. The words of a critic can tear into you like a knife and leave a festering wound. Yet, the words God speaks to his children heal and build up. You are an imperfect person, but you serve a perfect Lord. He loves you. He is cheering you on to faithfulness and persistence. You are an imperfect person, but you serve a perfect Lord. He loves you. Lead on. Lets face it, everyone who follows Christ is going to face some criticism. Think about all the criticism, opposition, and difficulty Nehemiah faced while fulfilling God’s plan for his life. It’s not easy, but we have a job to do. Our job is to stay faithful to the Lord and the work he has called us to do. If you are looking for a reason to quit or retreat you won’t have to wait long. Enduring difficulty is something every man and woman of God gets the benefit of doing (See James 1:2-8). Don’t let the words of a critic stop you from leading. Lead on. It’s not about you or your critic. Godly leadership points to Jesus Christ. Don’t give up; lead on. Dace is a pastor in central Texas. He is married to his wife Jacque and has two children. 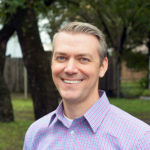 Dace is currently a Ph.D. candidate at Southwestern Baptist Theological Seminary. His studies focus on preaching and pastoral ministry. He also serves as an adjunct professor at Arlington Baptist University. Next story What’s your dinner table used for?